So what exactly is “pain”? Pain, or the pain response is part of our overall immune response. Basically this is the system that protects your body from outside and inside harm and is part of your immune response which manages healing and repair. You need a “pain” response to cause your body to rapidly respond to pain stimuli…for example, the hand on the hot stove. Your body must immediately react and move away from the threat. The pain response allows us to be queued, in dramatic fashion, to move away from the threat. So why does pain persist? Many of us have had an injury or trauma and the area “still hurts”. 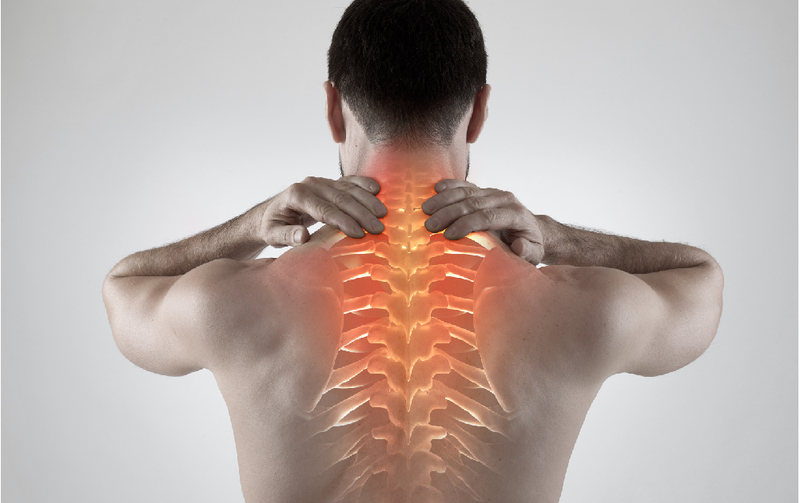 Most humans suffer from things like chronic back pain, or other issues where they are in pain. So, why does pain persist? Current endocannabinoid system (ECS) researchers agree that the pain and the immune response are managed by a “more complex” system, in particular, the ECS. Researcher believe this system is a heavily resource driven system. It requires resources to do work. Without resources it cannot complete tasks. Most persistent pain could be due to simply a lack of resources and improper repair of a trauma. Improper repair of a trauma? Yes…Your immune system works like this..lets say you are lifting that heavy thing you shouldn’t be..and suddenly you feel an explosion in your back. You have created a trauma. You are immediately queued by the pain response to “stop what you are doing..”. You will begin to inflame or swell as the area is sectioned off for repair. When appropriate, stem cells are queued to begin repair. When repair is complete you de-flame and are all good. Any area of the body can be completely repaired BY THE BODY if enough resources and the genetic wherewithal are present. So why do we have pain? We have pain because most of us lack the resources to properly repair our bodies. We get “stuck” in the immune response process. Our bodies do the best they can with very limited resources..however, they usually leave a trauma improperly repaired and therefor still signaling pain in a lesser fashion than at the trauma..but still saying “feed me seymour..I am not done yet…”. So how do we get resources to this system? The ECS is a resources driven system and relies most heavily on nutrition to supply the necessary pre-cursors to build chemical mediators it needs to completely run and manage the body thru the hypothalamus. The ECS is the overall “manager” of the pain response and copious research exists here (https://www.ncbi.nlm.nih.gov/pmc/articles/PMC3820295/is one summary paper). What does that mean? Food..simple nutrition is the key to a pain free life. However, that nutrition has to be appropriately targeted to provide the right pre-cursors to allow the body to do its work. The pain response thru the immune response seems heavily dependent on certain neuro pathways. The endocannabinoid system plays a heavy role in the pain response and copious research has been conducted to verify this. Nutrition can be targeted to provide pre-cursors for effect in these pathways. Sounds complicated but it really isn’t. Finding food which contains resources for the ECS can be done by following what we are doing, or doing some simple research on your own. We are in a nutritional crisis! Everyone on the planet is malnourished…bottom line. Consider, what does healthy look like? Further, what should constitute “sickness”? Here is our vision and we are proving this now in several Universities. If you have a genetic dis-order or a severe trauma or a viral issue…not much can be done nutritionally..HOWEVER..everything else would be a REGULATORY issue and could be addressed by nutrition…thats right…FOOD. Consider the issues of regulation and consider how prevalent these are in our society today: Heart issues, gut issues, diabetes, auto-immunes, inflammation, mood issues, pain issues, hormone issues, and many others. These are issues of disregulation and addressable by NUTRITION! Educate yourself. Get over your fear of learning about the endocannabinoid system. It has NOTHING to do with cannabis! Well not quite true..here is the best analogy I can think of on how these two relate. We all have been taught that morphine was used to discover and map the endorphin system. The endorphin system is a powerful central nervous system subsystem. It is a resources driven system, just as the ECS is, and in fact is subordinate to the ECS! In a similar way to how morphine was used to map the endorphin so has cannabis been used to map the endocannabinoid system. There are many things that provide resources to this system, certainly our products do and in a very targeted fashion. Things in particular that will help with pain are licorice, echinacea, beets, tart cherry, blueberries, and other colored fruits. Further, these will be synergized and enhanced by eating green leafy vegetables…things like Kale, broccoli, and spinach provide important precursor for testosterone and omega 3’s. If you are a chef and are interested in learning how to cook for the endocannabiniod system, please contact us at info@gnupharma.com. Can you imagine a salad that addressed pain? Or a salad that addressed allergies? All and more are possible! Error: Error validating access token: Session has expired on Friday, 19-Apr-19 10:36:26 PDT. The current time is Thursday, 25-Apr-19 01:04:02 PDT.